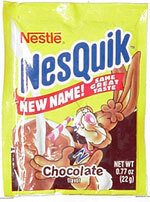 Go here to print out a coupon for $0.75/1 Nesquik Powder. Safeway and ShopRite have the small packs for $1 or so, so FREE after doubles! 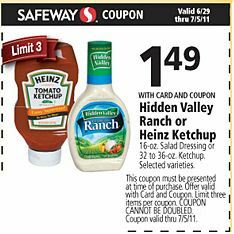 With the in-ad coupon from Safeway you can score the bottles for only $0.49 each after the new $1/1 coupon here! I’d hurry up and go print it because I don’t know how long it will last. And $0.49 is a good price for Ranch! Of course, check your other local stores to see what other deals you can find. Dollar General might even sell the tiny bottles for $1? As long as this coupon doesn’t have a size exclusion, you’re good to go! 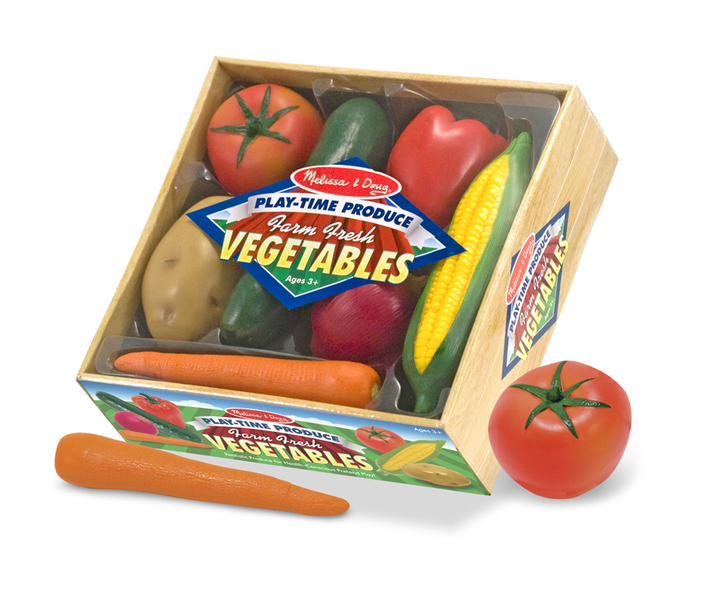 FREE Melissa and Doug Toys! Just pay $7 Shipping! SaveMore has another great deal today to use your $10 voucher on (free for new sign ups). 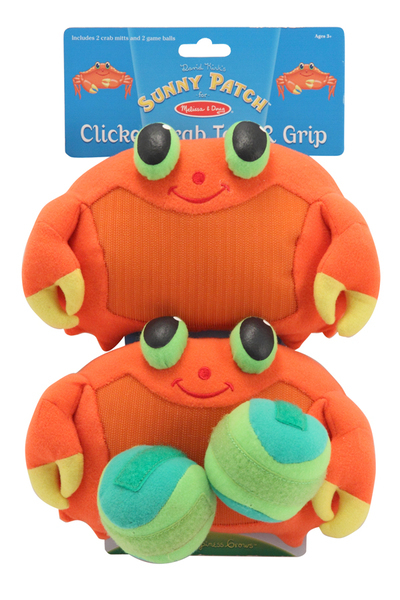 You can get $20 worth of merchandise from WowMyKidSpace.com for FREE! But what makes this deal even better is that site sells Melissa and Doug toys which are wonderful, last forever, but are EXPENSIVE! If you use your $10 credit to “buy” the $20 voucher for FREE, you can pick out some Melissa and Doug toys for under $20 and then only pay the $6.95 flat rate shipping. There are a ton of Melissa and Doug toys priced at $19.98. So FREE after the voucher. 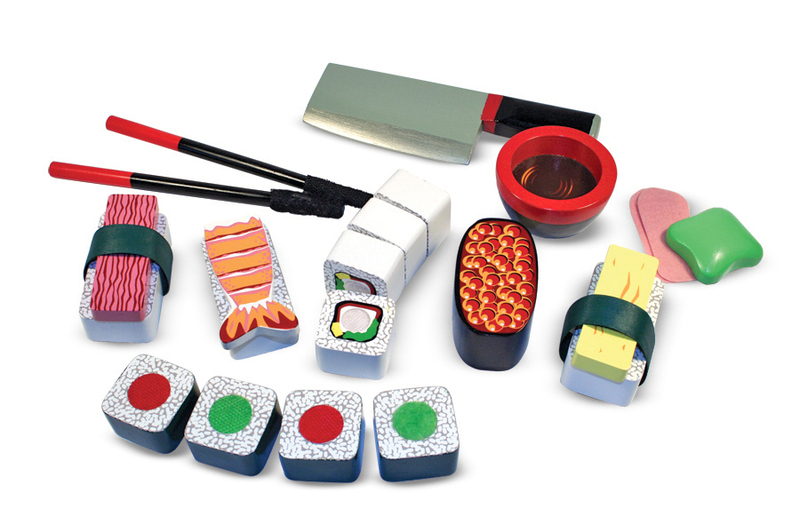 It’s not often you’ll get these wooden sets for the cost of shipping ($6.95) so I’d certainly buy one of these and put it away for a birthday or Christmas gift. Go HERE to make a SaveMore account and “buy” the $20 voucher to WowMyKidsSpace.com for FREE. You can take your voucher over to the site to pick out a toy (Search for Melissa and Doug), and then just pay shipping. 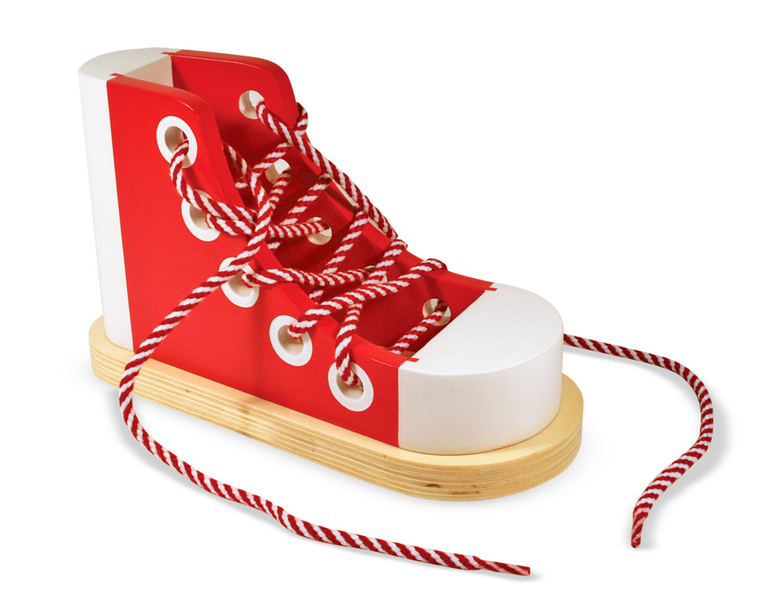 https://i2.wp.com/savvywifehappylife.com/wp-content/uploads/2011/06/melissa-and-doug-2.jpg?fit=800%2C524&ssl=1 524 800 Brandi https://savvywifehappylife.com/wp-content/uploads/2016/09/SavvyWifeHappyLife-logo-2.png Brandi2011-06-30 17:00:232011-06-30 17:03:17FREE Melissa and Doug Toys! Just pay $7 Shipping! 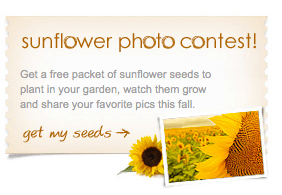 Go here to request a free package of Sunflower Seeds from Somersault Snacks. Click on the “Get my seeds” in the picture you see above, it opens up your email to send them an email to request your seeds to plant. EverSave: $5 Credit for New Sign ups! FREE Gift Certificate to Restaurant! If you aren’t a member of Eversave, I’d say today would be a very, very smart time to sign up! Sign up here today and subsribe to emails to get a $5 credit put into your account. You can hold onto it for another day, or check out some of the deals they have today! Your $5 will come off at checkout so you could even get something for FREE! 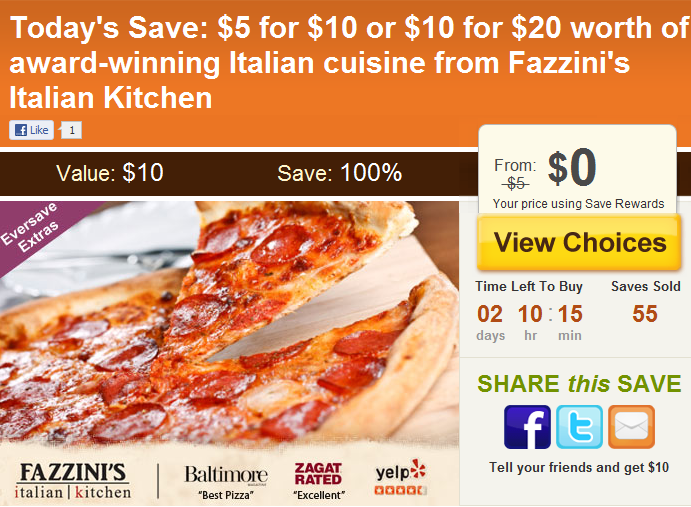 Under the Baltimore location you can purchase a $10 gift certificate to Fazzini’s Italian Kitchen for $5FREE with your $5 sign up credit! Check out other local deals in your area to see what great deals you can score! https://savvywifehappylife.com/wp-content/uploads/2016/09/SavvyWifeHappyLife-logo-2.png 0 0 Brandi https://savvywifehappylife.com/wp-content/uploads/2016/09/SavvyWifeHappyLife-logo-2.png Brandi2011-06-30 15:33:282011-06-30 12:26:13EverSave: $5 Credit for New Sign ups! FREE Gift Certificate to Restaurant! Lots of Blockbuster Express Codes! Here are some BlockBuster Express codes to use that will score you a FREE night’s rental. These codes expire 7/1 and are only good on the $1 DVD rentals. 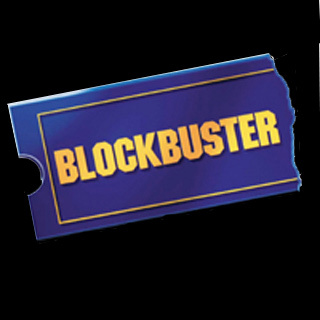 Make sure to return the movie before the next night to avoid fees. https://i1.wp.com/savvywifehappylife.com/wp-content/uploads/2011/06/blockbuster.jpg?fit=320%2C320&ssl=1 320 320 Brandi https://savvywifehappylife.com/wp-content/uploads/2016/09/SavvyWifeHappyLife-logo-2.png Brandi2011-06-30 15:00:242011-06-30 02:18:50Lots of Blockbuster Express Codes! Swagbucks: Celebrate The Fourth With Collector’s Bills! Don’t forget to keep searching on Swagbucks this week because you can earn a special bonus if you collect all 5 collector bills pictured above! It’s their special for the 4th of July! You can read more about it on their blog here. Not a member of Swagbucks yet? Sign up here to start searching to earn some Amazon gift cards! https://savvywifehappylife.com/wp-content/uploads/2016/09/SavvyWifeHappyLife-logo-2.png 0 0 Brandi https://savvywifehappylife.com/wp-content/uploads/2016/09/SavvyWifeHappyLife-logo-2.png Brandi2011-06-30 14:31:182011-06-30 02:22:01Swagbucks: Celebrate The Fourth With Collector’s Bills! Coupons.com just released a new coupon that I am very excited about! 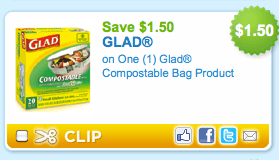 At zip code 98052 you should see a $1.50 on one Glad Compostable Bag Product coupon! These will make composting easier for my family! 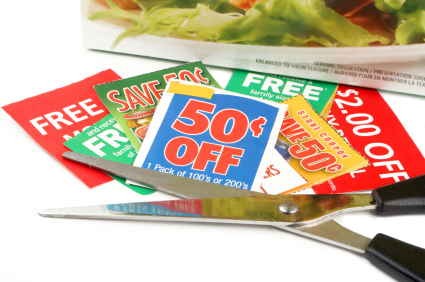 It’s the LAST day of June ;( and not only does that mean that my summer is rolling on by, but it also means you need to print out the coupons you’re interested in before they leave! https://i2.wp.com/savvywifehappylife.com/wp-content/uploads/2011/06/coupons.jpg?fit=425%2C282&ssl=1 282 425 Brandi https://savvywifehappylife.com/wp-content/uploads/2016/09/SavvyWifeHappyLife-logo-2.png Brandi2011-06-30 13:29:162011-06-30 01:29:52It's the End of the Month! Print those Coupons! Instant Win Games: Free Skittles and Twix! Have you tried your luck at the Wrigley Jr. Instant Win game called Non-Stop Summer Fun! You can head on over here and enter every day (3 chances a day!) until 9/5. Use the FREE codes: JKJ736WWR4 and P75D533ED2 or the codes inside of specially marked candy boxes. Good luck! 130,000 coupons for FREE candy are being given out, so you have a chance! 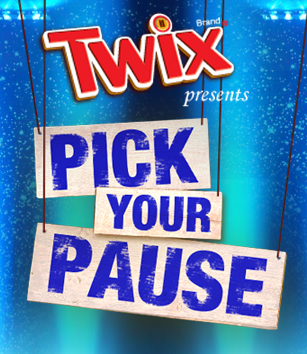 Go here to play the Twix Pick Your Pause instant win game. If you don’t have a code, just click the “Don’t have a code?” button and they’ll fill it in for you. I won a free Twix bar! 🙂 Good luck! https://savvywifehappylife.com/wp-content/uploads/2016/09/SavvyWifeHappyLife-logo-2.png 0 0 Brandi https://savvywifehappylife.com/wp-content/uploads/2016/09/SavvyWifeHappyLife-logo-2.png Brandi2011-06-30 13:03:162011-06-30 01:18:18Instant Win Games: Free Skittles and Twix!